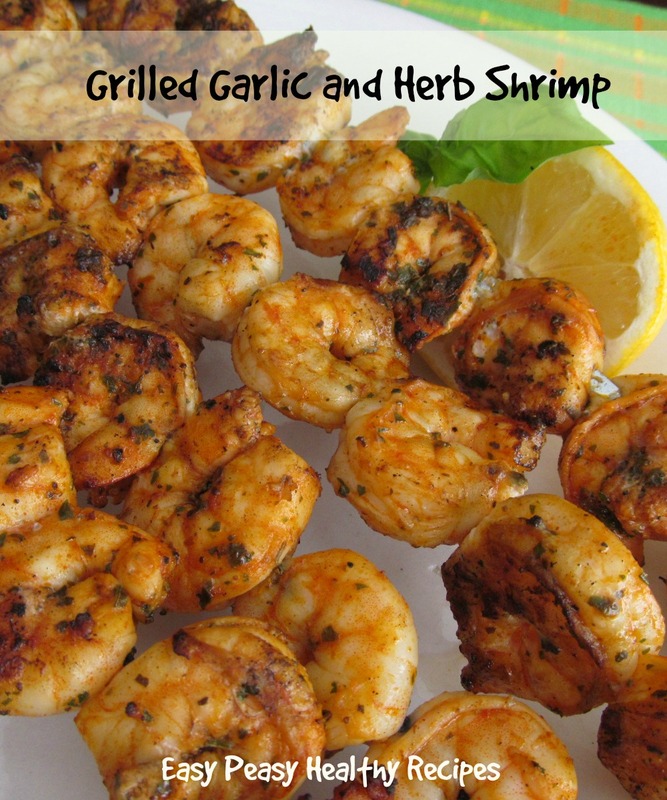 This grilled shrimp has a wonderful smokey flavor. The marinade is quick and simple to put together. It just needs a couple hours to marinate with the shrimp to bring out the wonderful flavors. Shrimp serves as an excellent source of lean protein. Each 6-ounce portion provides 39 grams of protein -- a significant amount toward the 46 grams recommended daily for women and 56 grams for men. Loaded with protein, vitamin D, vitamin B3, and zinc, shrimp are an excellent, carbohydrate-free food. Shrimp also contains 165.8mg of cholesterol per serving, over half the recommended limit of 300mg per day. However, shrimp also contains omega-3, a fatty acid that could help prevent or reduce your risks for heart disease and other health conditions, such as diabetes. Whisk together the olive oil, smoked paprika, Italian seasoning, basil, pepper in a bowl. Mix together with the shrimp and cover and refrigerate or place in a ziploc baggie. Refrigerate for a couple hours. Preheat an outdoor grill for medium-high heat. Lightly oil grill grate, and place about 4 inches from heat source. Remove shrimp from marinade, drain excess, and discard marinade. Place shrimp on preheated grill and cook, turning once, until opaque in the center, 5 to 6 minutes. Keep a close eye on the cooking process, shrimp can overcook quickly. Serve immediately. 1. Whisk the paprika, garlic, Italian seasoning, lemon juice, olive oil, pepper, and basil together in a bowl until thoroughly blended. Stir in the shrimp, and toss to evenly coat with the marinade. Cover and refrigerate at least 2 hours, turning once. 2. Preheat an outdoor grill for medium-high heat. Lightly oil grill grate, and place about 4 inches from heat source. 3. Remove shrimp from marinade, drain excess, and discard marinade. 4. Place shrimp on preheated grill and cook, turning once, until opaque in the center, 5 to 6 minutes. Serve immediately. I love this healthy ice cream with NO sugar added.. And this super easy recipe only requires a few basic ingredients. 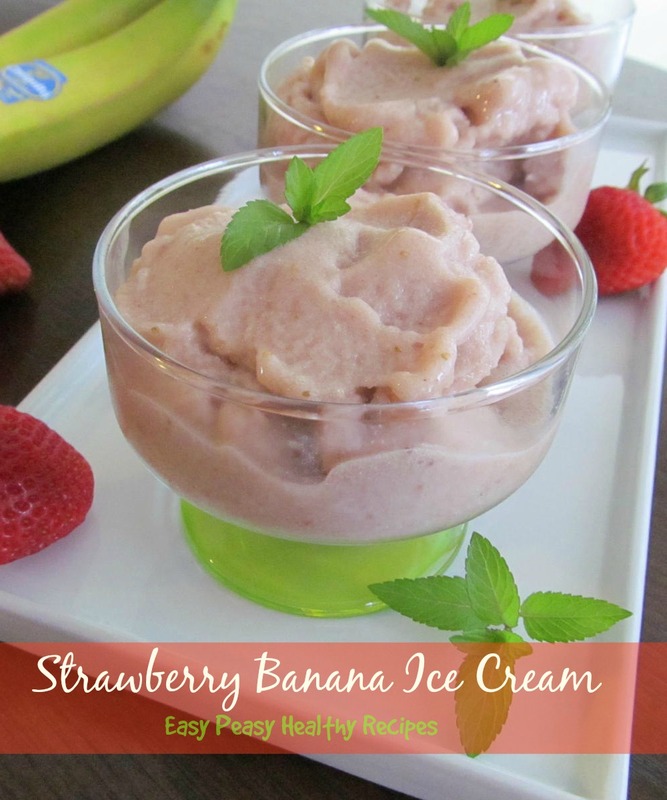 The bananas and strawberries add a natural sweetness to this delicious and refreshing ice cream. And with zero fat, zero cholesterol and only 56 calories this a perfect treat to satisfy any sweet tooth. Hope you enjoy! Throw everything into a blender or food processor. Blend until a desired consistency. Transfer mixture to a bowl and freeze until solid. Blend almond milk, frozen bananas, frozen strawberries, and vanilla extract together in a blender until desired consistency is reached. Transfer mixture to a bowl and freeze until solid, about 4 hours. Now this is a delicious salad that is a meal in itself. It is loaded with super healthy fruits and veggies. It takes a little longer to chop all the veggies but well worth the effort. 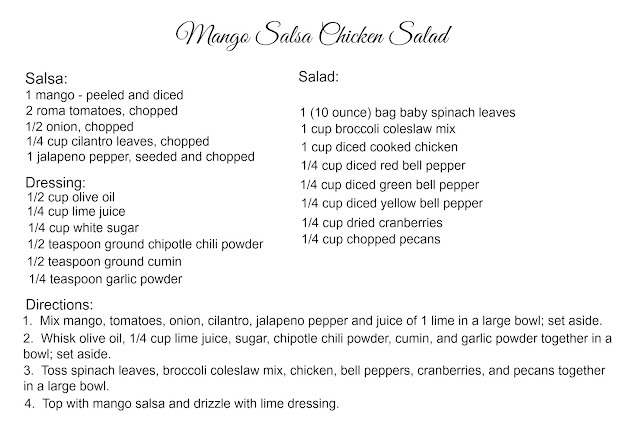 The salsa is also goes well with grilled chicken or fish. Mangoes are low in calorie and high in vitamin A. Spinach is also very low in calories and loaded with healthy vitamins and nutrients like vitamin A and K, folate, magnesium, fiber, calcium and protein. This is one of my favorite salads and I hope you enjoy it too! Recipes that are easy peasy to make and delicious too! Healthy nourishing meals and guilt free snacks with step-by step instructions. 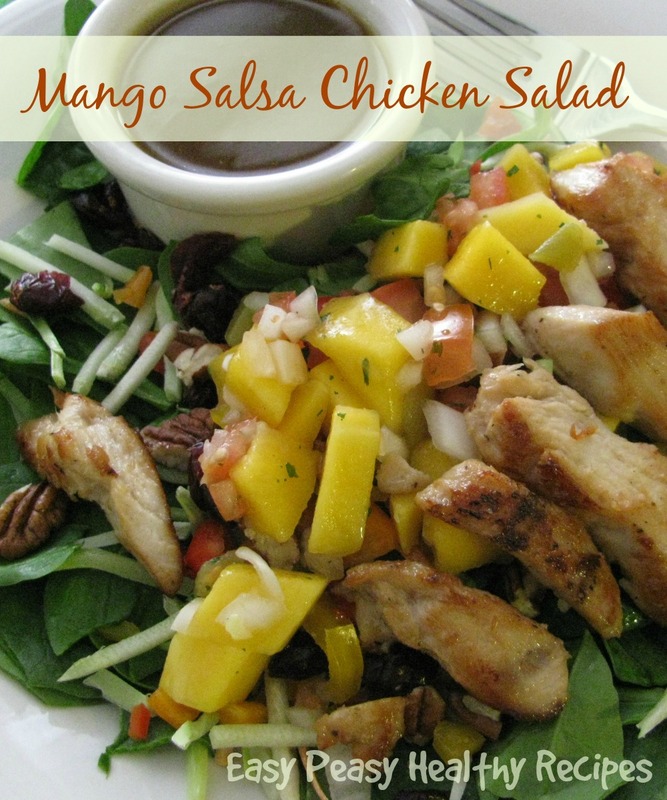 Most of the recipes here are low carb and diabetic friendly. Perfect if you trying to lose weight or control your sugar intake. Easy Peasy Healthy Recipes is a participant in the Amazon Services LLC Associates Program, an affiliate advertising program designed to provide a means for sites to earn advertising fees by advertising and linking to Amazon.com.